OMG guys! Buy my .pdf! It comes out on tomorrow from Raging Swan: “Campaign Events: Masquerade Ball“. It’s about clothes. Obviously. I mean there’s NPCs and plot hooks, but it’s mostly clothes. It’s full of scary and elegant masks and costumes. I had such a blast writing it, and re-watching Labyrinth, “for research purposes” only, of course. 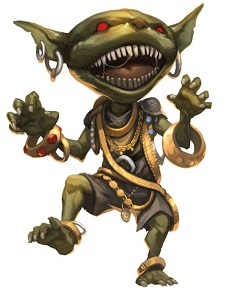 Fashion Goblin: Thinking too much about clothing, so you don’t have to. To get you excited about it, here are some gorgeous masked looks from the runway. The cover (by Tyler Jacobson) of the first book in The Mummy’s Mask AP was unveiled to gasps of “That Hat!” And not just from me. My hastily cropped and shrunk version can’t possibly do it justice, go look at the original. It’s worth it. Yes, the hat is fantastic, but everything else about her clothes are equally fantastic. My initial reaction to this outfit was “Cavalier” (no, not Alain), but thinking harder, the influences are more varied than that, but all around the 17th century. I was blinded by the feather and the turned down boots (and gloves). The shorter, fuller breeches look inspired by the earlier 17th century, as opposed to the later 17th century Cavalier inspiration of the overall look. I’m really curious what the bottom of her jacket looks like. I wish she wasn’t holding a book in front. Is it squared off, like the tiny bolero she’s wearing? Does it flounce into a semi bustle and cascade down her legs? Does it just angle back from the from opening into the tail we can see? If this AP follows the patters of the previous ones, she’s a major character throughout the all 6 volumes. So with any luck we’ll see more her in more art. Researching this page I found a great side-by-side from A Chichi Life of the Dior 2009 Spring and works from the Dutch Masters. 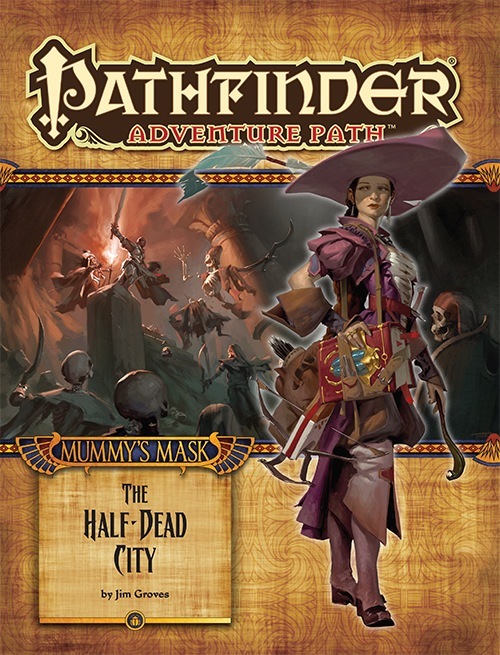 Paizo’s Adventure Path page Tomb raiding in Osirion. A rival adventuring party. Great hats. What’s not to love? Wikipedia’s entry: Cavalier The historical context for the fashion inspiration. Style.com’s page on Dior Spring 2009 Gorgeous extravagance. Or extravagant gorgeousness.